11:30 Having started celebrating my chum's 57th birthday with a Class 37 hauled train from Norwich this was our first stop on a Yarmouth crawl. We had the pub to ourselves. 17:05 Last stop of the day. Only my second visit but becoming my favourite pub in Yarmouth. The interior is comfortable and the staff are very professional. It does six Real Ales. Earl Grey tea and ginger cake. A recipe for a happy conclusion to the day. 16:45 Not too busy considering it was a sunny Friday in July. The bar staff were very professional. Both barmen I dealt with seemed to have a genuine interest in the beers they were selling. 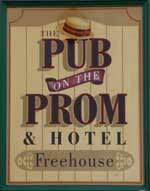 The pub is found in Great Yarmouth, Norfolk, NR30 2DH. Ground floor bar of the Prom Hotel badged as the Pub on the Prom. 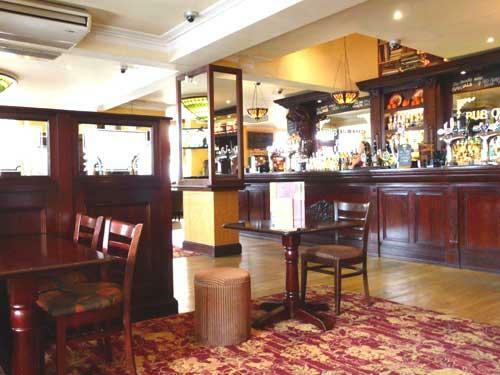 Very pleasant lounge bar renovated in an Edwardian style with lots of dark wood. Uniformed staff. Six handpumps. 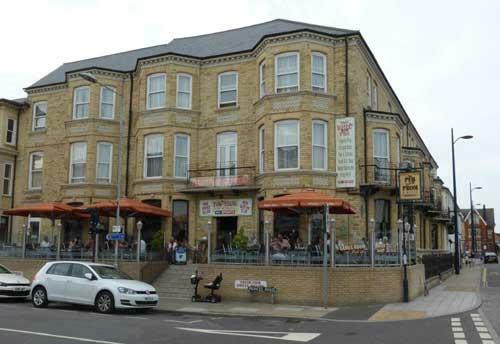 Somewhat different from the average Great Yarmouth pub. We have visited this pub 3 times, seen 8 different beers and tried 1 of them.